Screencast-O-Matic is a screen capturing program that enables users to record both screen and webcam as MP4, AVI and FLV, being well compatible with Windows, Mac and Linux. You can upload and publish any captured videos to YouTube for sharing with others. Nevertheless, it comes with a series of annoying problems. Only when purchase a license can you utilize an available editing tool freely and remove watermark as well as recording limit. Screencast-O-Matic also needs internet access. Assuming that there is no Internet or WIFI, you will not be allowed to use this program. What's worse, it requires users to download a launcher, which is developed via Java, allowing hackers to control your computer and steal all data easily. Sound horrifying? Hence, it is essential for you to look for reliable alternatives to Screencast-O-Matic in order to record screen activities more easily and secure. Now, let's have a look at the top 5 most professional screen recorders. As one of the most advanced screen capturing software, Joyoshare Screen Recorder offers ability to not only serve as a dedicated video capture but also work as an independent audio grabber. It can be used to record any on-screen video and audio activity in high quality, including online conference, live broadcast, streaming game, Facebook chat, online radio, game music, system sound, etc. Being different from other screen recorders in market, Joyoshare Screen Recorder provides users with multiple options. You can export captured videos to any formats and devices, like HD MP4, FLV, SWF, WMV, iPhone, Andriod, Xbox, etc. It also empowers you to grab both video and audio synchronously, allowing you to decide whether keep system audio or microphone sound left. 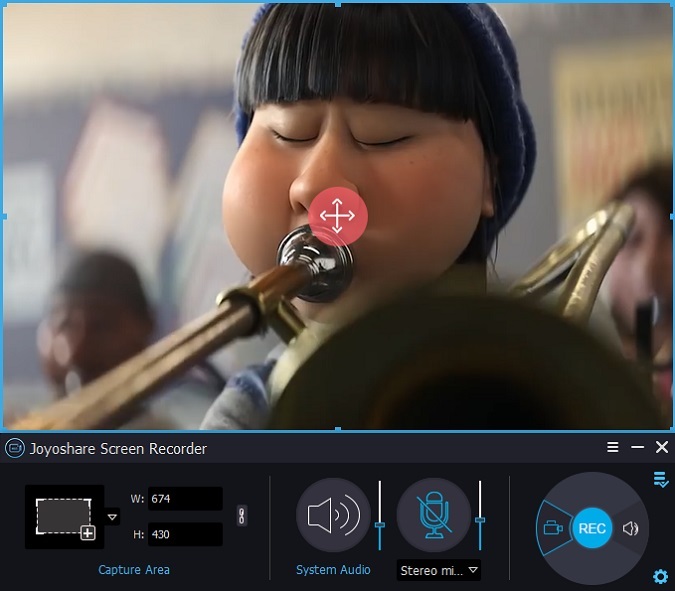 Furthermore, Joyoshare Screen Recorder is capable of selecting storage location, customizing capturing area, taking screenshots, presetting designated assignment, trimming video, highlighting cursor, etc. Any captured video and audio can be shared to YouTube after previewing and editing it. More importantly, you can feel free to use Joyoshare Screen Recorder safely at any time even when there is no internet connection. To meet a need of no installation any third-party sofyware on PC, Apowersoft Free Online Screen Recorder is widely used by plenty of users. It is actually a web-based free screen capture that is compatible with Windows and Mac OS. You can apply it to record all types of activity with ease, such as, self-demonstration, webcams, streaming videos, etc. With an intuitive and user-friendly interface, it is extremely easy-to-operate, requiring no Java script. Amazingly, Apowersoft Free Online Screen Recorder has access to capture video and audio simultaneously, from which diverse webcam videos side-by-side adopting popular chat services, like Yahoo Messenger, Skype, Omegle, are also supported. 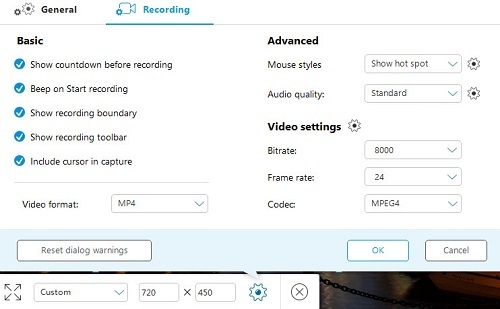 By using it, you have right to choose recording area in full screen or with adjustable window and output all captured videos to MP4, WMV, AVI, FLV, MPEG, VOB, ASF and GIF. Besides, Apowersoft Free Online Screen Recorder is able to take screenshots, make recording task, set up hotkeys and adjust video quality. The most impressive feature is that it can be utilized with no recording time limitation and adding no watermark to captured video. Thus, you can share it to YouTube, Dropbox, Vimeo, etc, as you please. 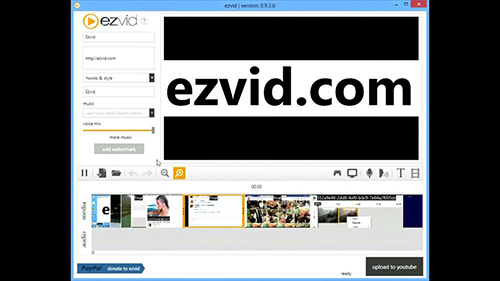 Ezvid is a fairly popular screen recorder that can be used as a wonderful alternative to Screencast-O-Matic. It focuses on recording videos from your computer desktop. With a straightforward and neat operating interface, it makes use of icons wherever possible and keeping controls to a minimum. Under the help of this smart capturing tool, users like music fans and gamers immerse themselves in making video recordings at a fast speed. There is an access to let you select a specific area to capture. However, Ezvid offers inability to record video activity in full screen, which may make users dismay. To take advantage of it deeply, you will find it includes full supports for controlling speed over output videos and can save videos automatically in high quality resolution (720x1280p HD) during recording process. Specially, it delivers a platform to create slideshows with capturing. Come with a built-in video editor by default, there is no need for you to install any other editing programs. Ezvid is available to permit you to add images, shapes or text to your captured video and share it to YouTube automatically. 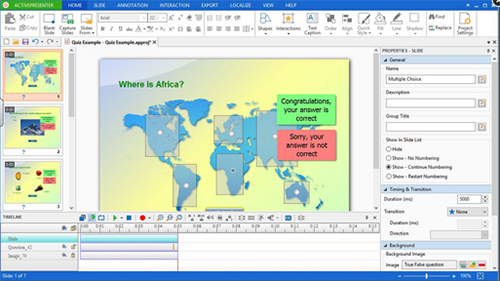 Equipped with a wealth of thoughtful designs, ActivePresenter is highly regarded as a great solution to replace Screencast-O-Matic. It has capability to create training presentations, product demonstrations, user tutorial, etc, in full screen or in a customized screen ratio. It also enables you to record any desktop video and audio in HD quality, with which you don't have to worry about the video recording length. Furthermore, ActivePresenter also helps you edit or remove any unwanted portion of your video. You can also add key words or sentences to captured video in every way with its powerful video editor. It is supportable to add additional effects, for instance, lines, arrows, shapes, callouts, texts and so on. You have right to do more as well, including blurring the moving object, merging clips, using Chroma key, making text-to-speech, adjusting audio, etc. When it comes to compatibility, ActivePresenter can work well for Windows 7, 8, 10 and macOS X. Magically, it can export captured videos to AVI, MP4, WebM, MKV, PDF, Word, Excel, or even the latest HTML5 web standard. But you have to pay attention to that when you output video as HTML5, the watermark will be added. 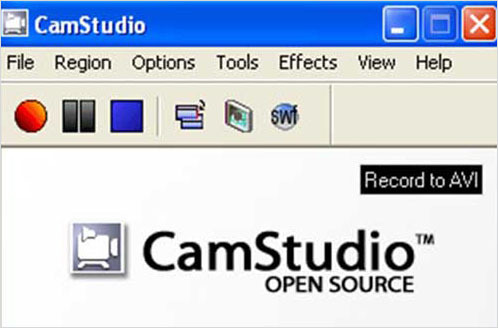 To suit all users requirement, Camstudio comes as an open source with diverse great features. With its simple and easy-to-use interface, you are allowed to make one-click recording option possible. Therefore, it is fast to record images or capture videos on your desktop screen. Camstudio is a feasible choice for new starters, which has an option to zoom in or zoom out your capturing area size flexibly. By default, there are two switchable mode, screen mode and region mode listed on recording settings. Moreover, it is practical to make a screen-to-screen video recording. Before initiating a capturing task, you'd better adjust required frame rate, video codec, quality and resolution ahead of time. Alternatively, thanks to its lossless video codec, it is also workable for you to produce a destination video file with smaller size when compared with other similar screen software. Any captured video can be saved as AVI format, which is accessible to be converted as SWF later. However, the SWF format will decelerate your computer's speed owing to unknown reason. You can make a wise decision according to your own actual needs. To be frank, all mentioned 5 screen recorders can be regarded as wonderful alternatives to Screencast-O-Matic. If you are unwilling to install any software on your PC and don't expect too many functions, Apowersoft Free Online Screen Recorder can match your needs. However, if you tend to find a screen capture with outstanding recording settings, Joyoshare Screen Recorder can provide the best service for you. Anyway, enjoying your recording is the top priority.